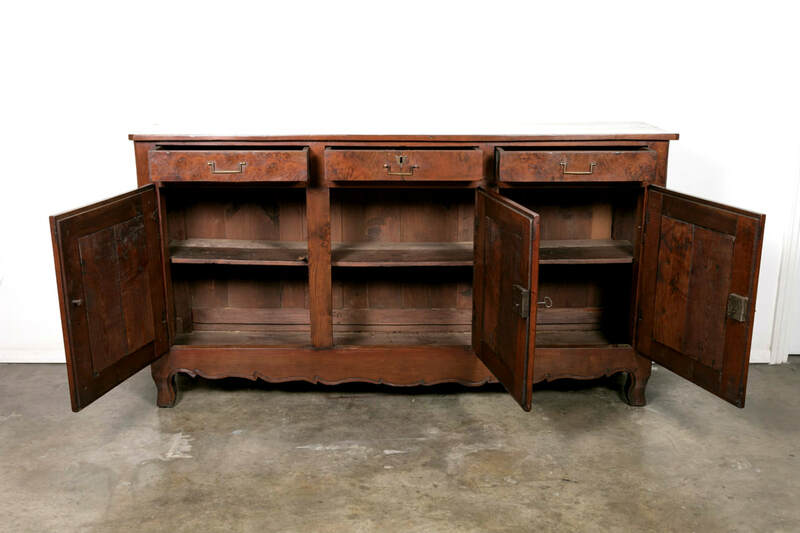 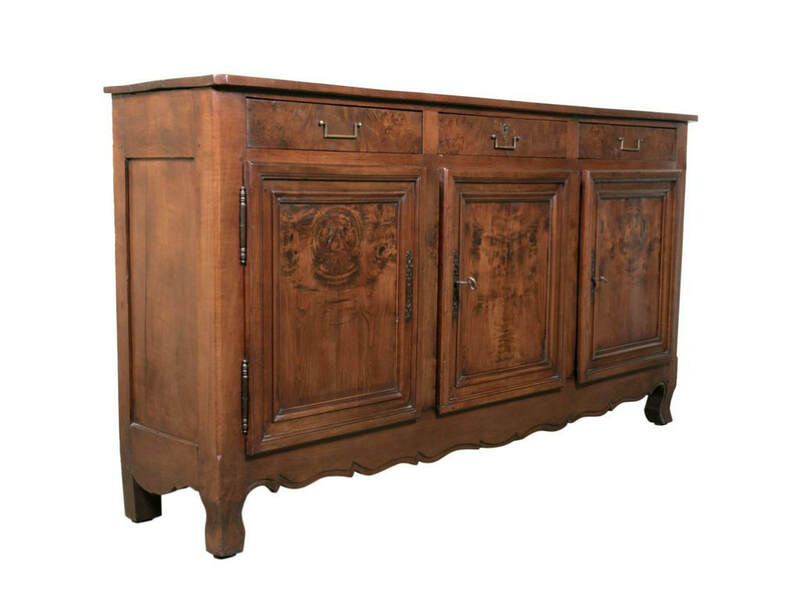 Handsome and rare 18th century cherry enfilade buffet with a burled chestnut bookmatched front having three drawers over three doors, handcrafted by skilled artisans from the Rhone-Alpes region during the French Transition period (1750-1775). Most Transition period pieces were created outside Paris by provincial cabinet makers and combined design elements used during the reign of Louis XV (1723-1774) with Louis XVI (1774-1792) motifs in the same piece. 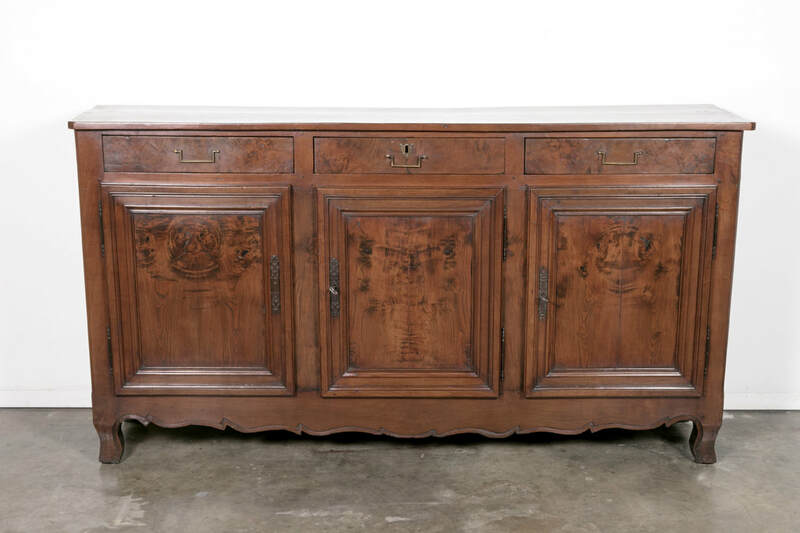 When Louis XVI assumed the throne in 1774 after his father's death, Rococo tendencies and Baroque excess were no longer popular. A movement was underway that favored the clean, straight lines of the neoclassical style. 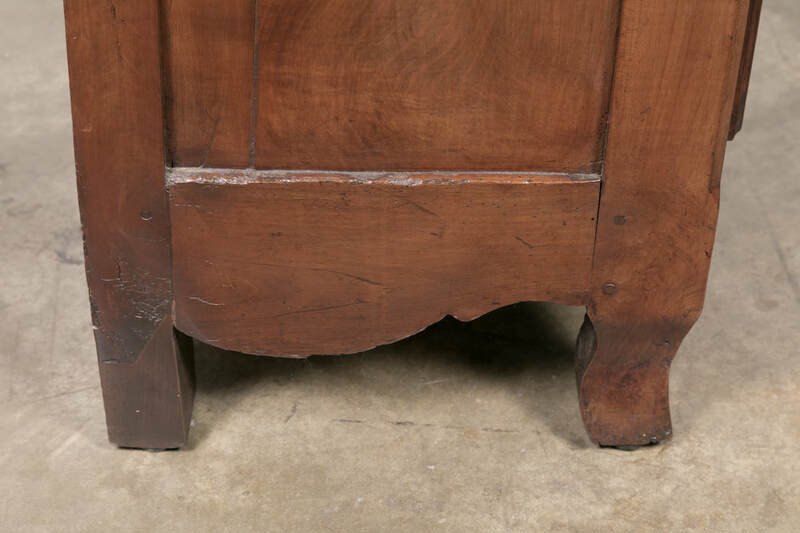 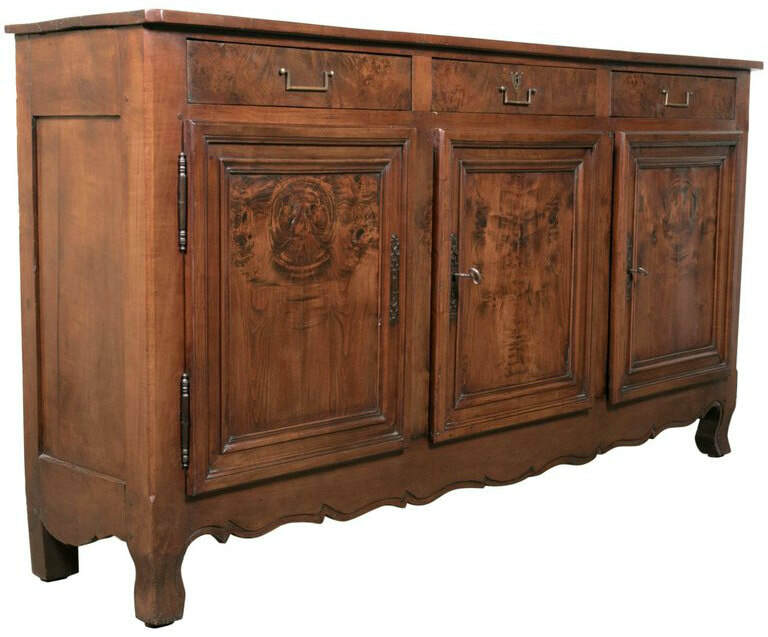 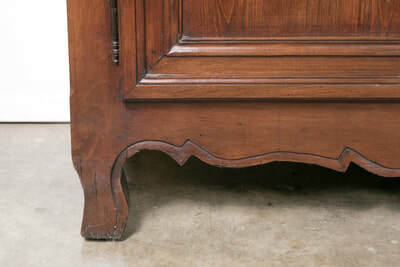 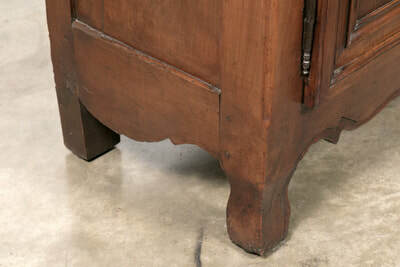 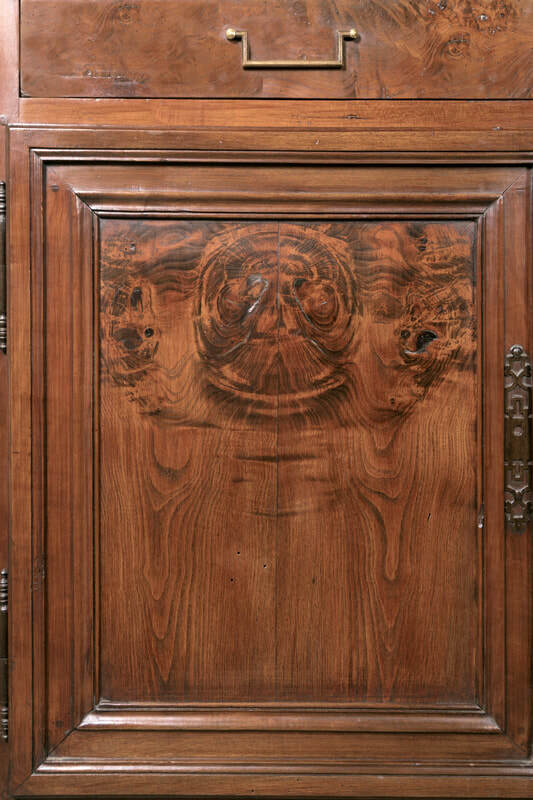 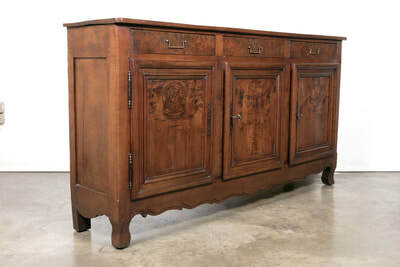 The shaped, carved apron of this enfilade as well as the short, raised cabriole legs ending in pieds de biche represent timeless Louis XV inspired motifs, in contrast with the straight, rectangular lines of the cabinet doors and the shield escutcheon and drop bail handles, which are typical Louis XVI period motifs. The doors open to reveal a single interior shelf with plenty of storage. 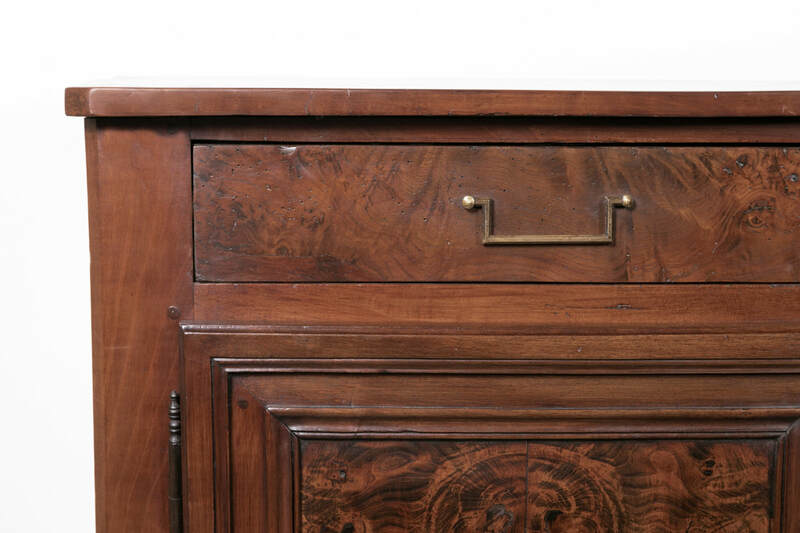 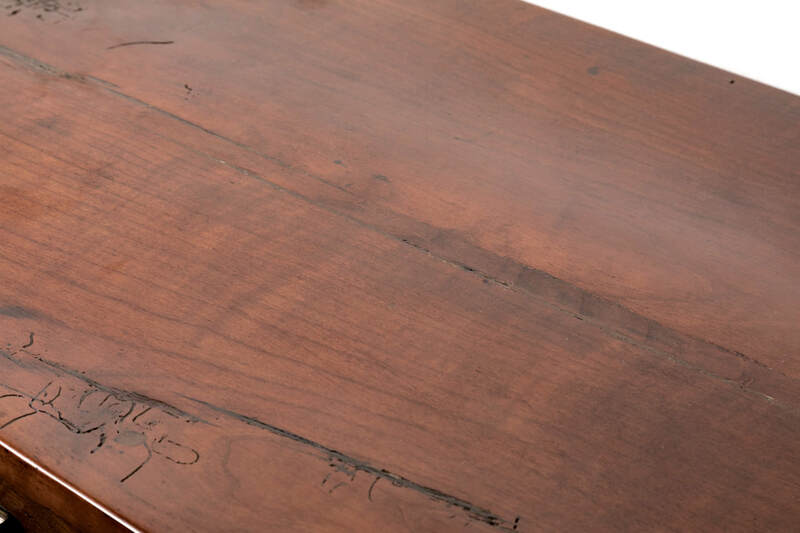 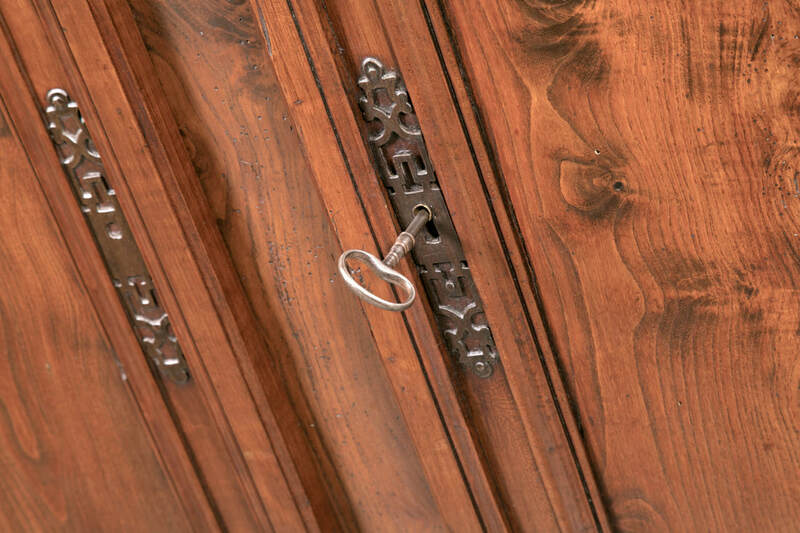 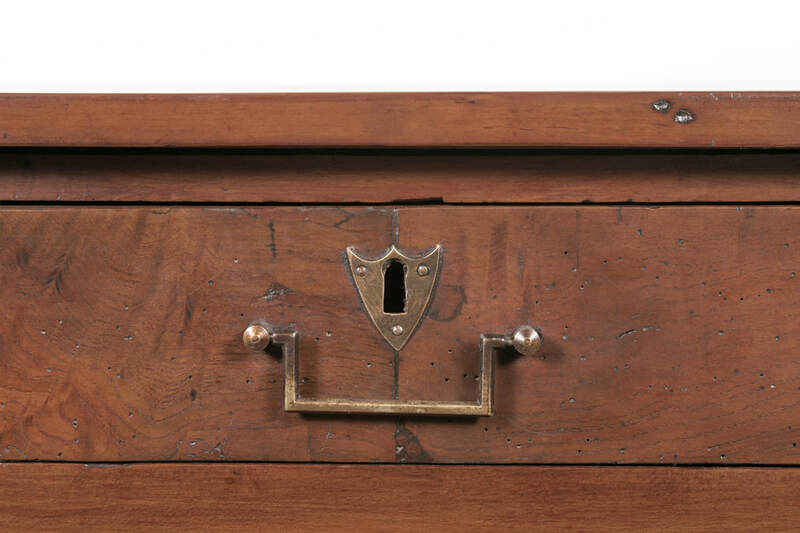 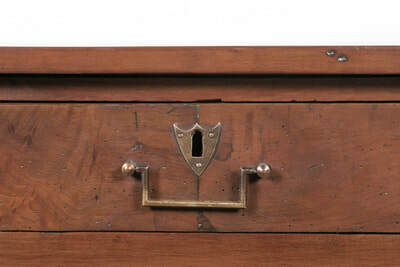 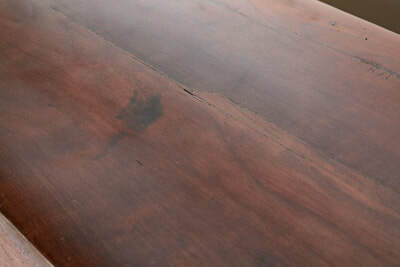 Found in a chateau near the city of Lyon, the enfilade has a hand waxed finish and lovely aged patina. 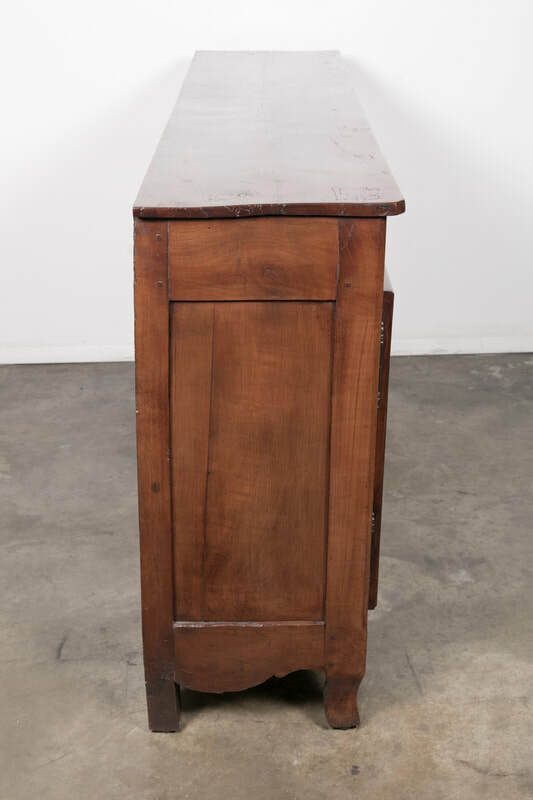 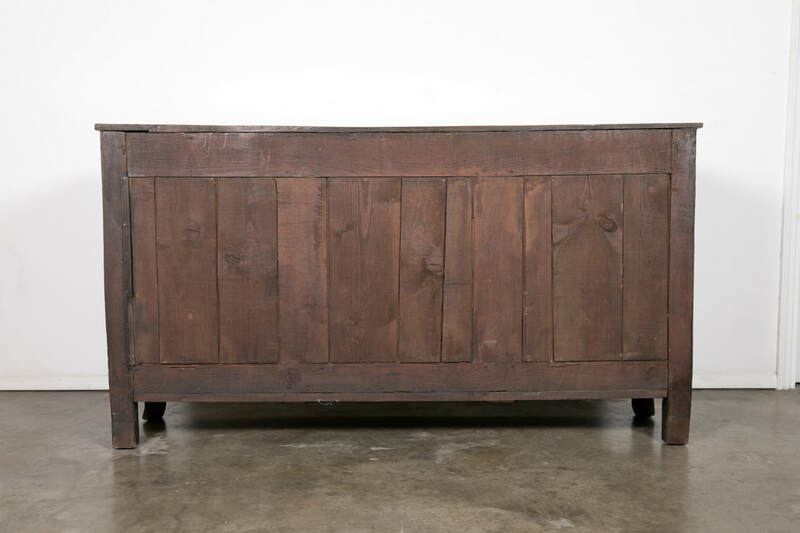 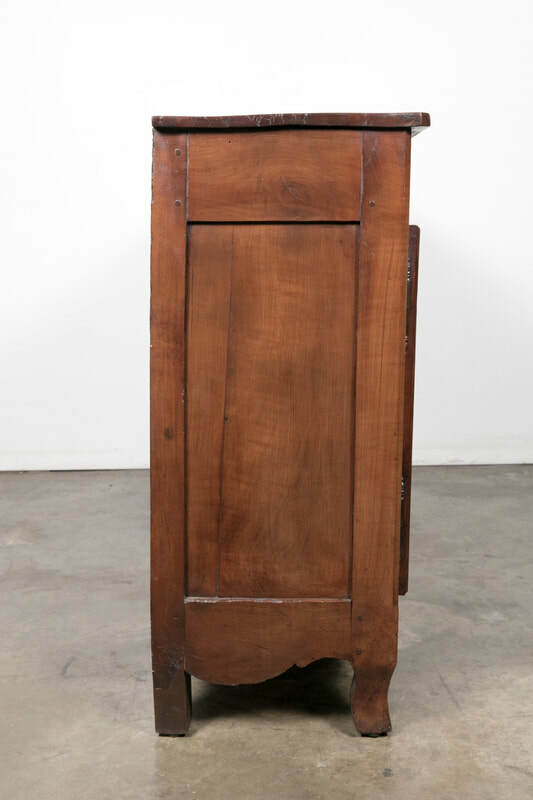 Both beautiful and functional, the narrow depth makes it a very versatile piece, perfect for a foyer, hallway, dining room, or as a TV cabinet.